We have been conducting and expanding EOR operations on our assets in the Gulf Coast region since 1999, and as a result, we currently have many more CO2 EOR projects in this region than in the Rocky Mountain region. 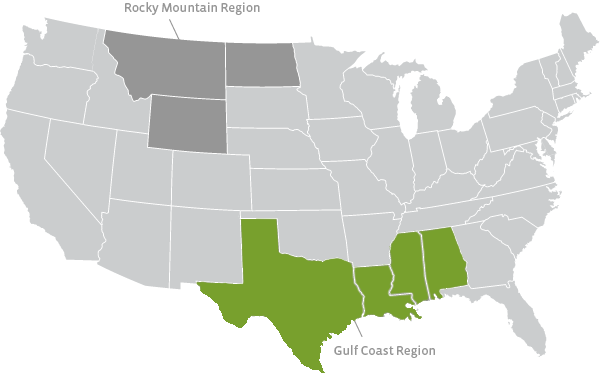 In the Gulf Coast region, we own what is, to our knowledge, the region’s only significant naturally occurring source of CO2, and these large volumes of naturally occurring CO2 give us a significant competitive advantage in this area. In addition to the sources of CO2 we currently own, we purchase and use CO2 captured from industrial sources which could otherwise be released into the atmosphere (sometimes referred to as anthropogenic, man-made or industrial-source CO2) in our tertiary operations. These industrial sources of CO2 help us recover additional oil from mature oil fields and, we believe, also provide an economical way to reduce atmospheric CO2 emissions through the concurrent underground storage of CO2 which occurs as part of our oil-producing EOR operations.